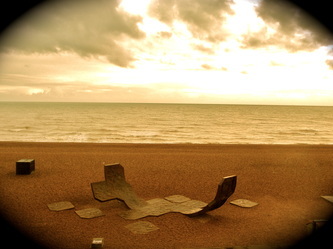 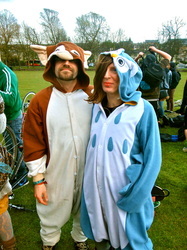 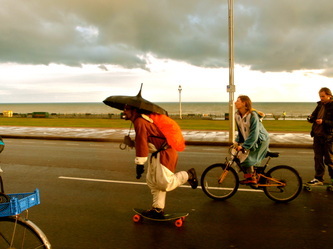 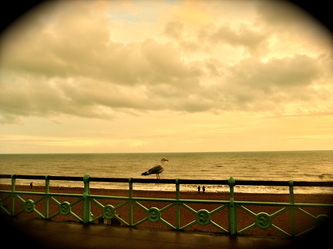 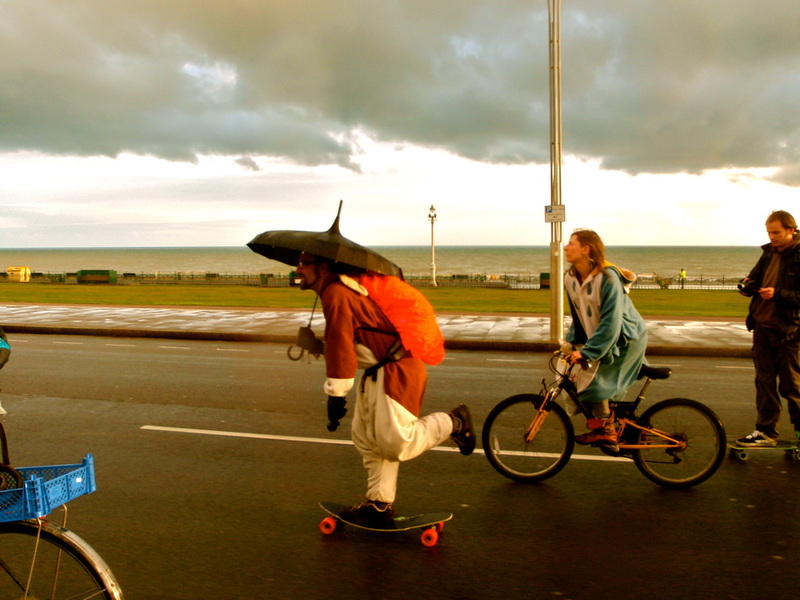 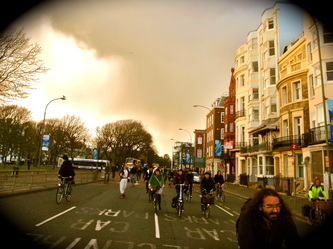 Fantastic weekend at the Brighton Bike Fest! 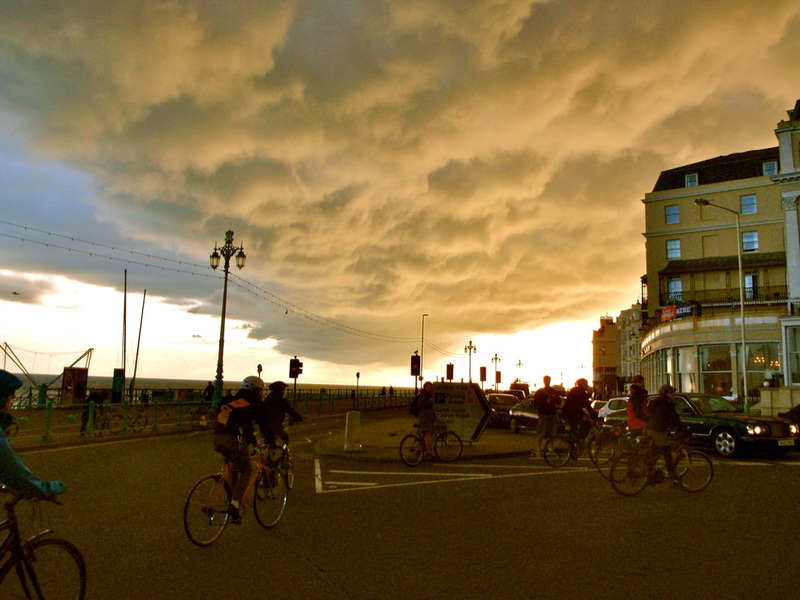 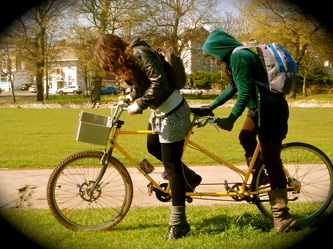 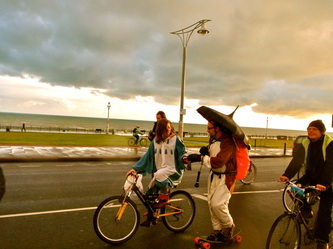 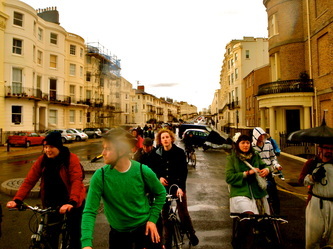 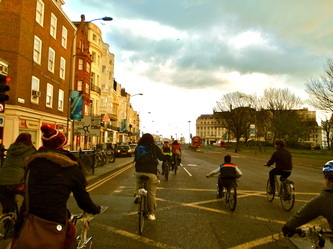 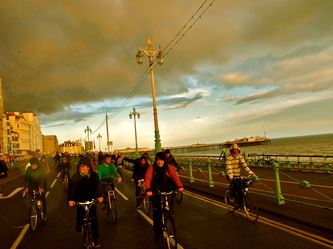 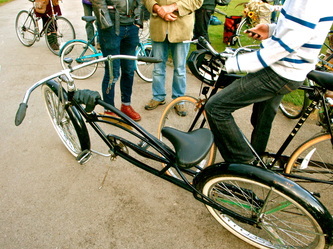 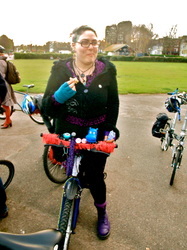 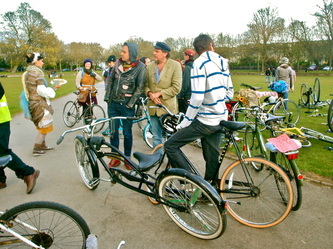 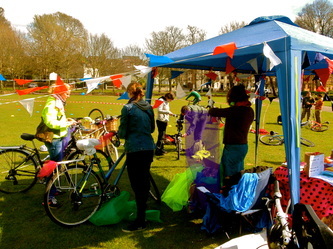 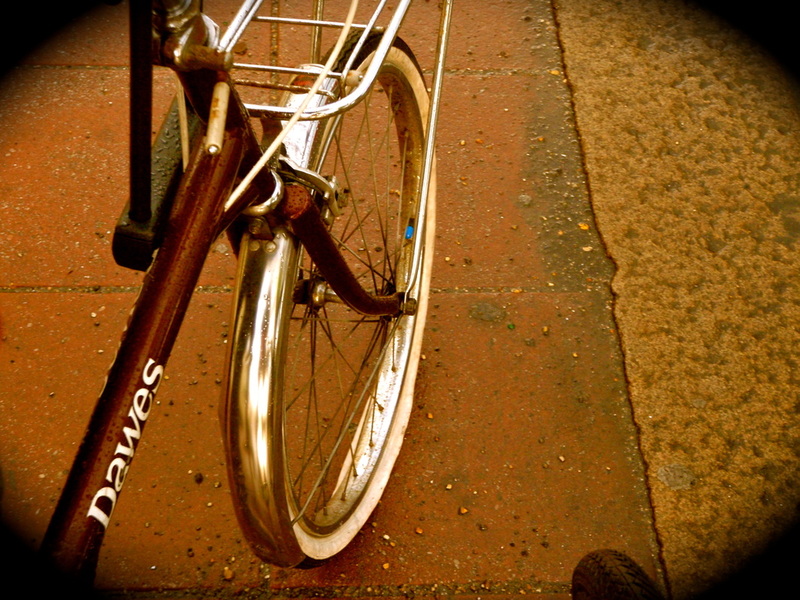 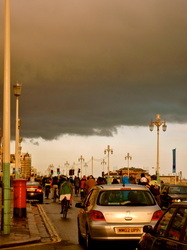 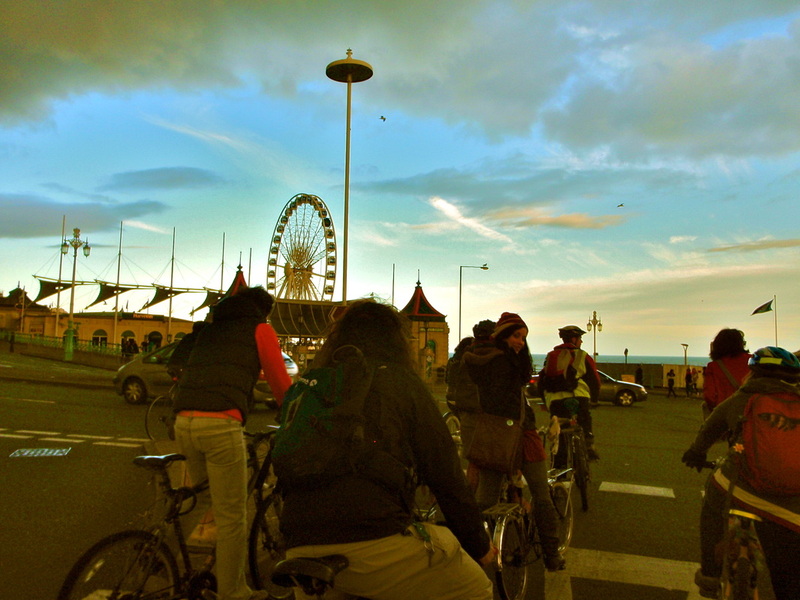 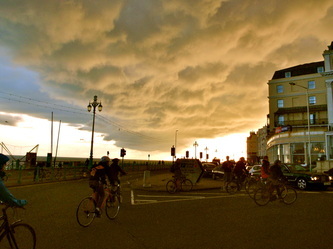 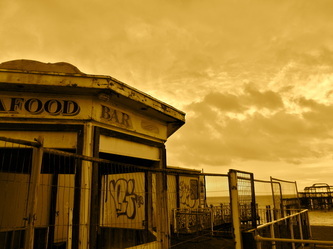 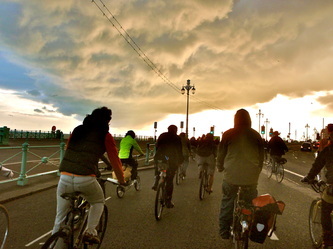 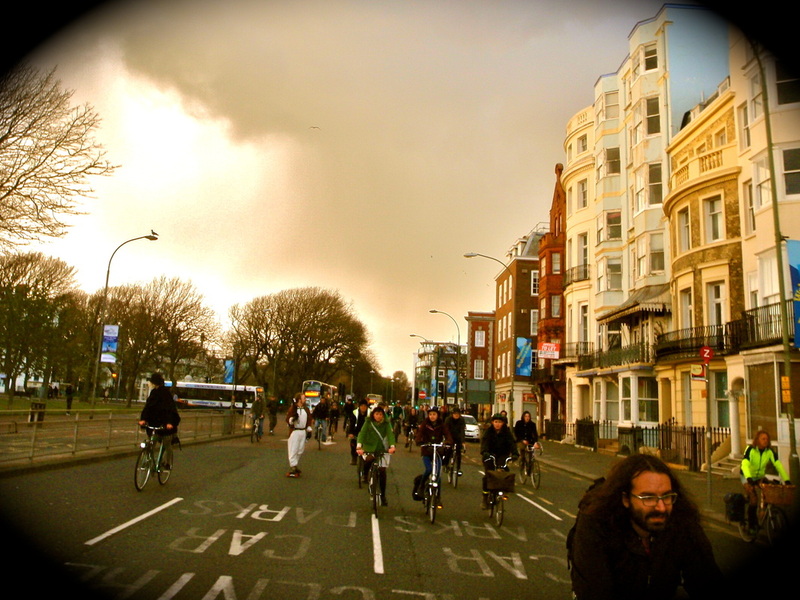 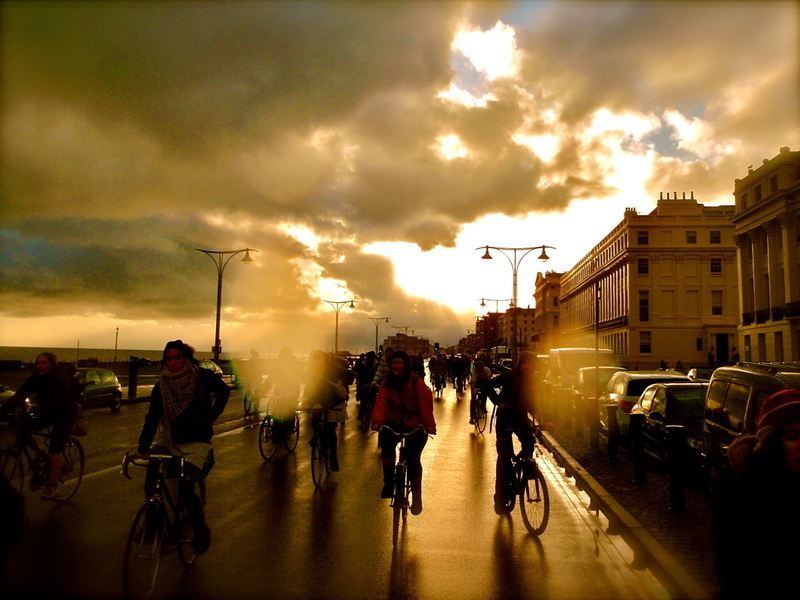 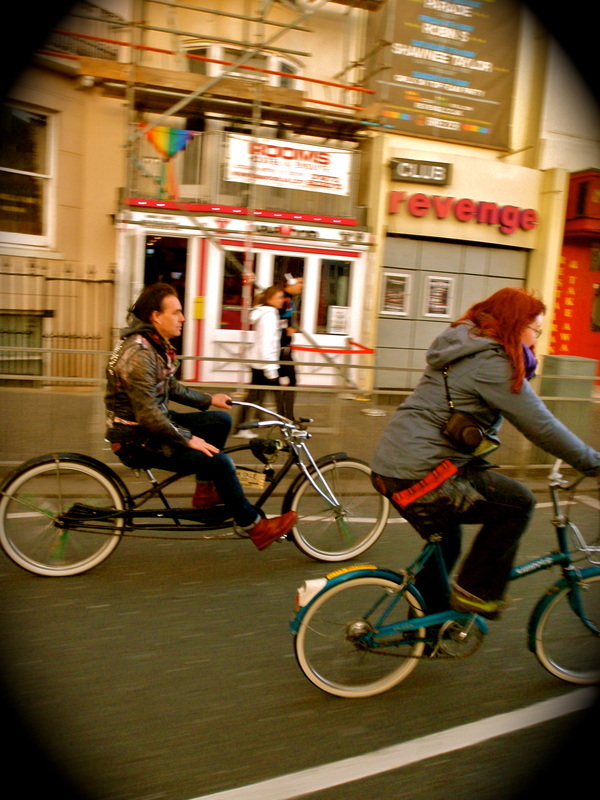 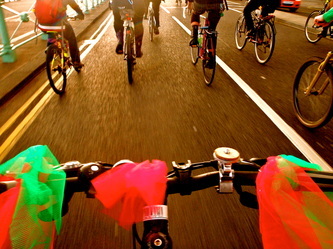 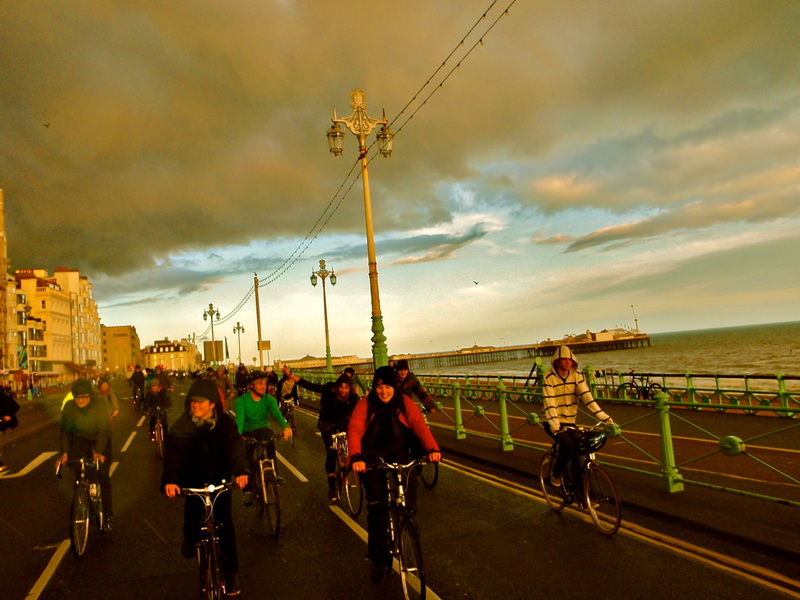 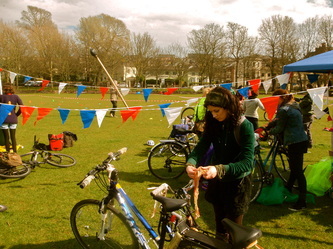 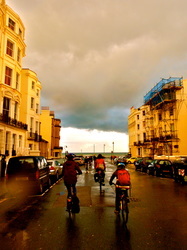 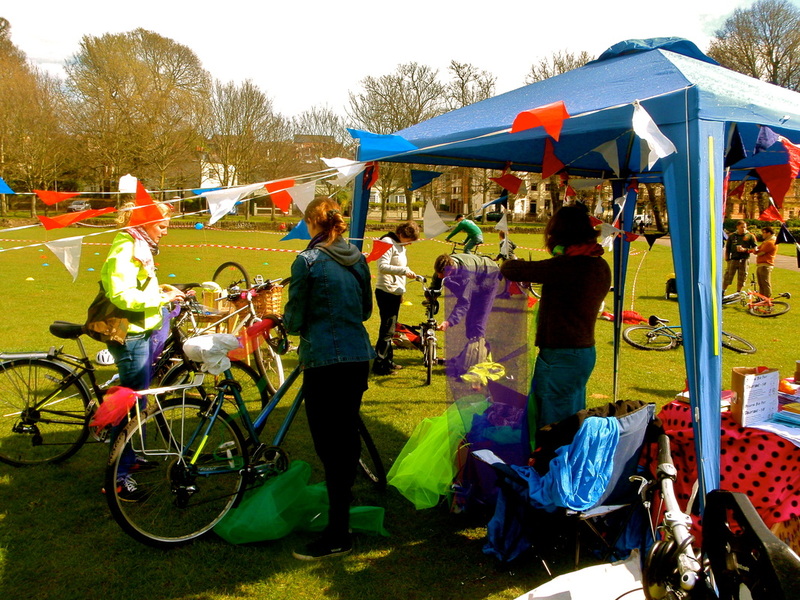 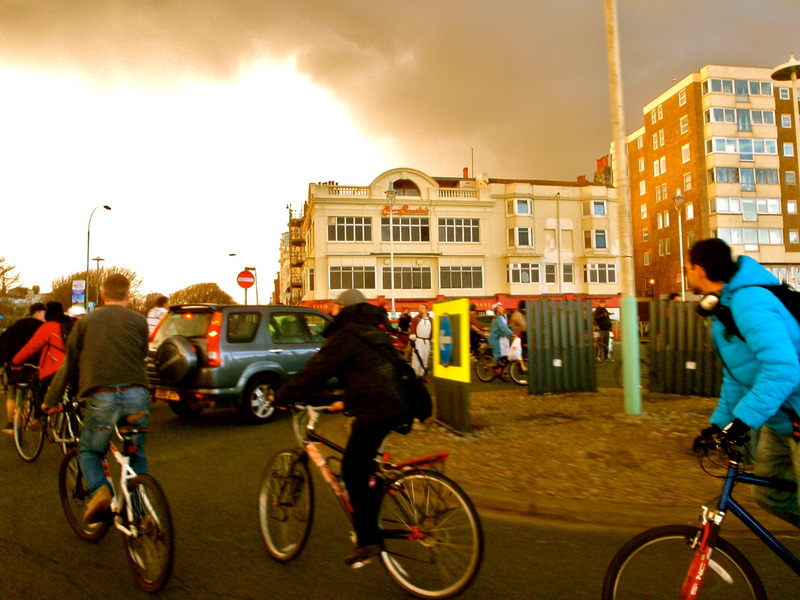 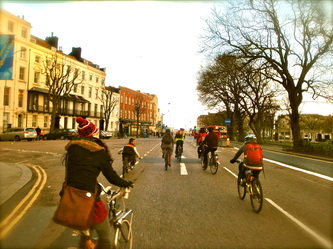 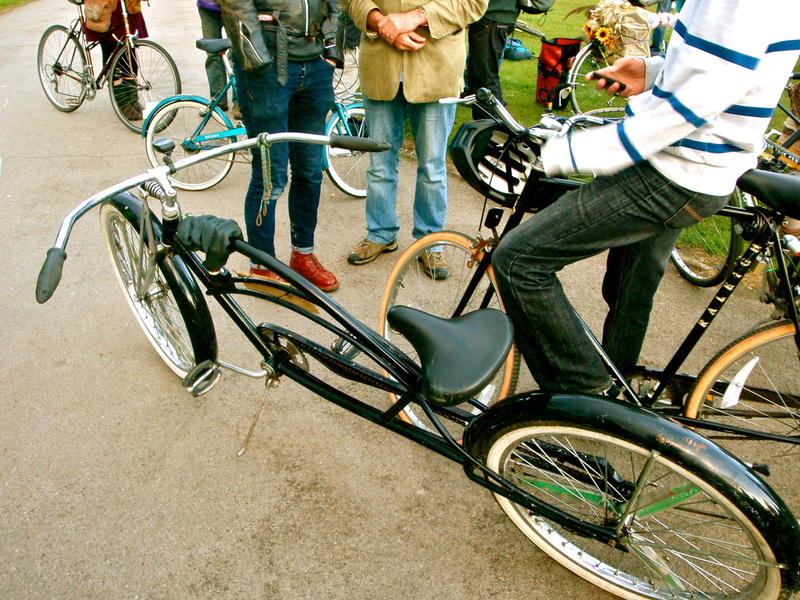 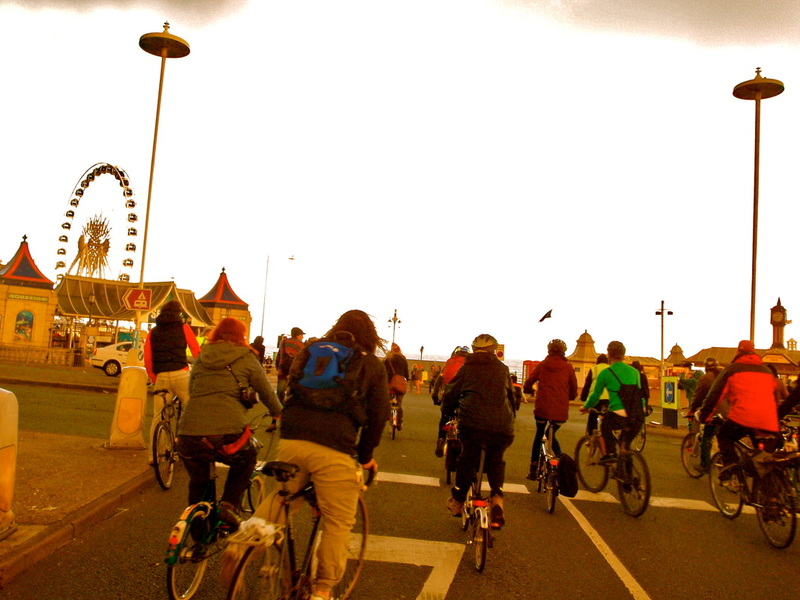 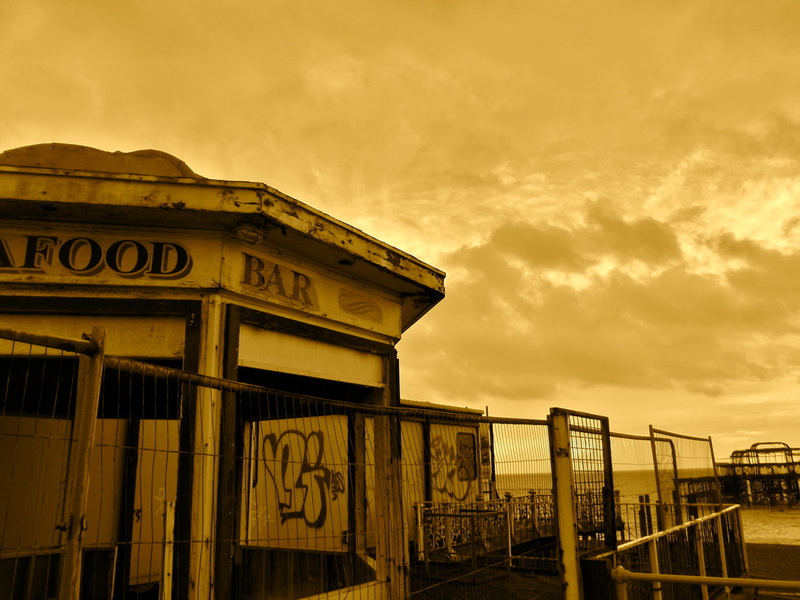 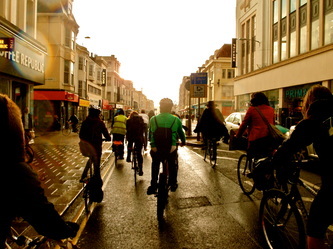 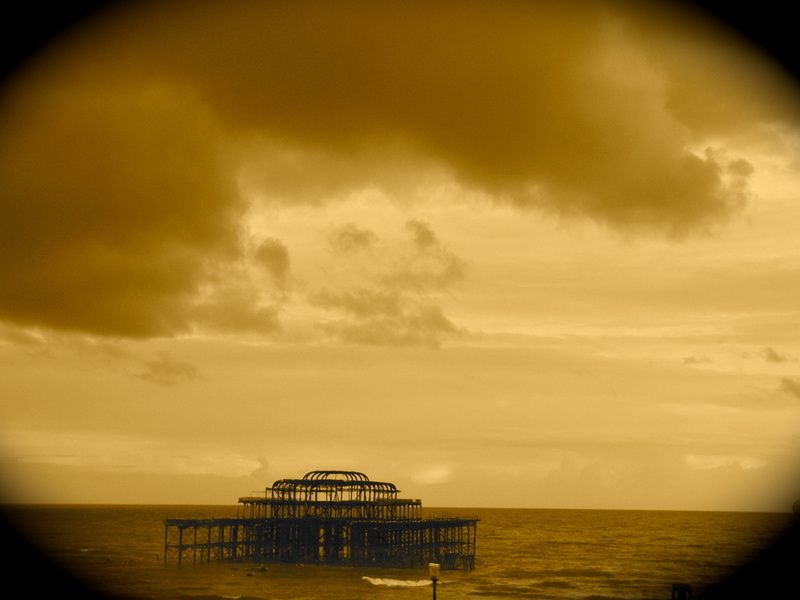 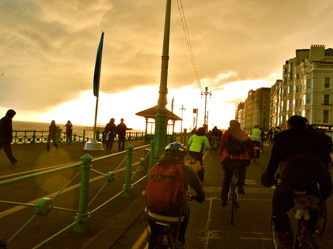 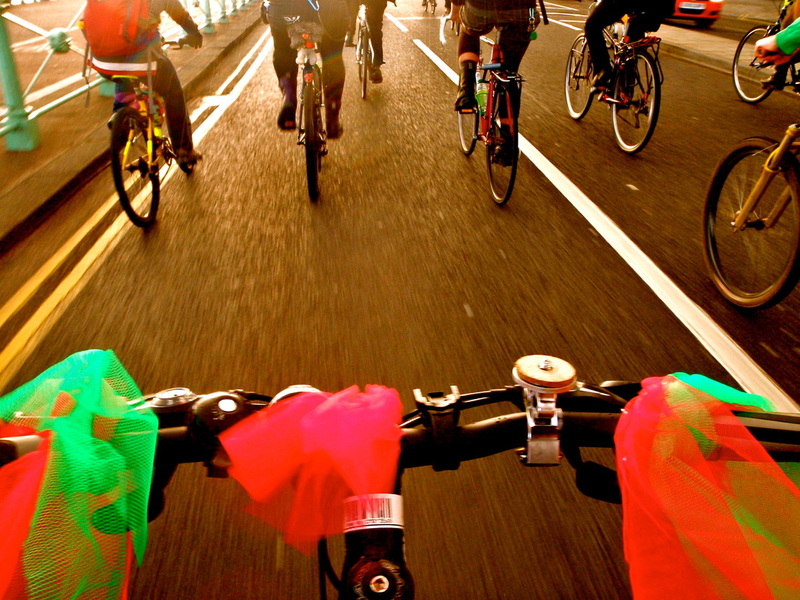 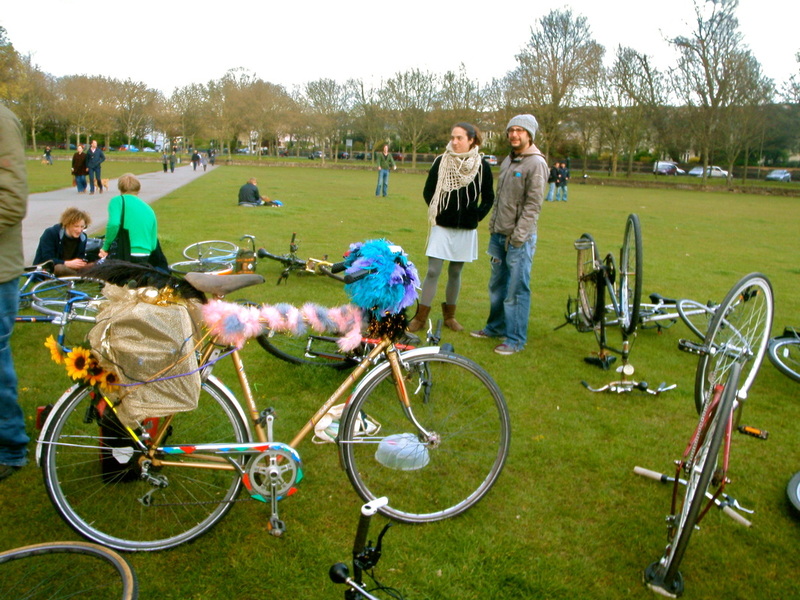 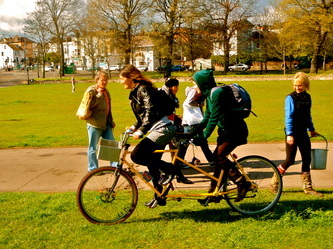 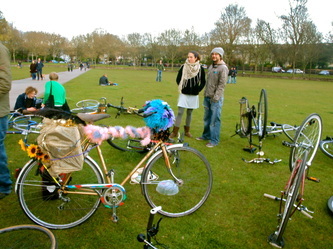 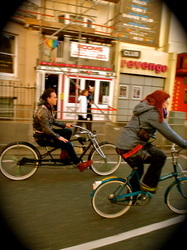 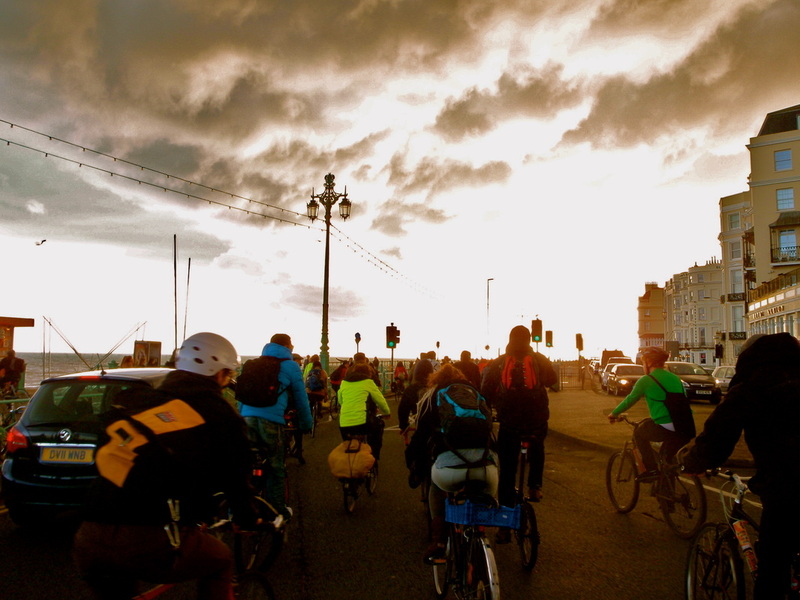 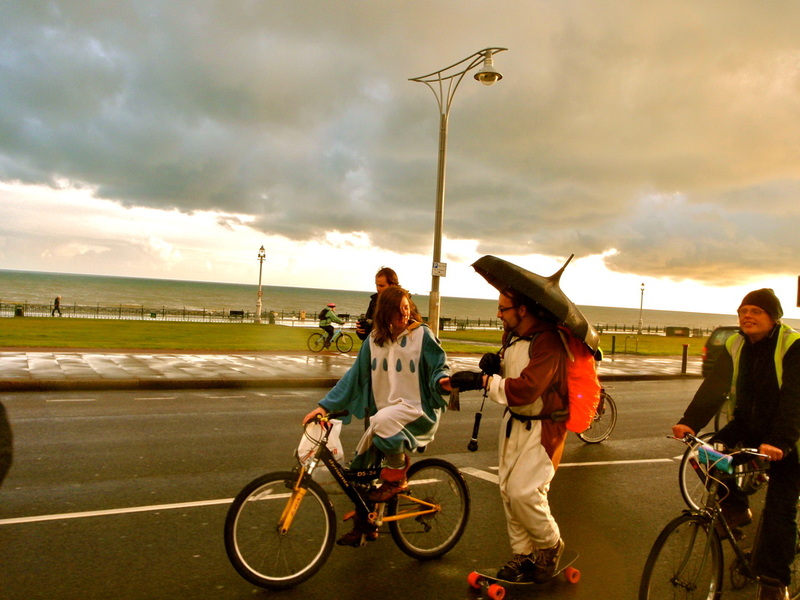 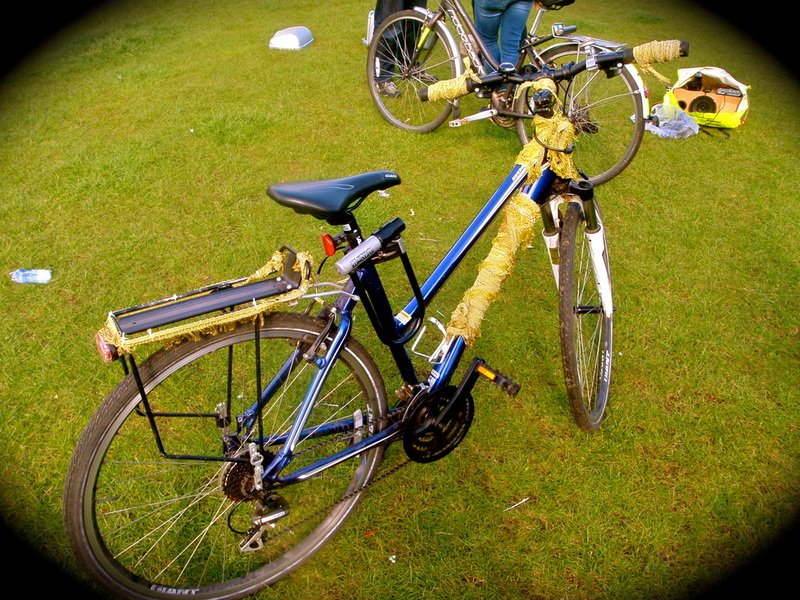 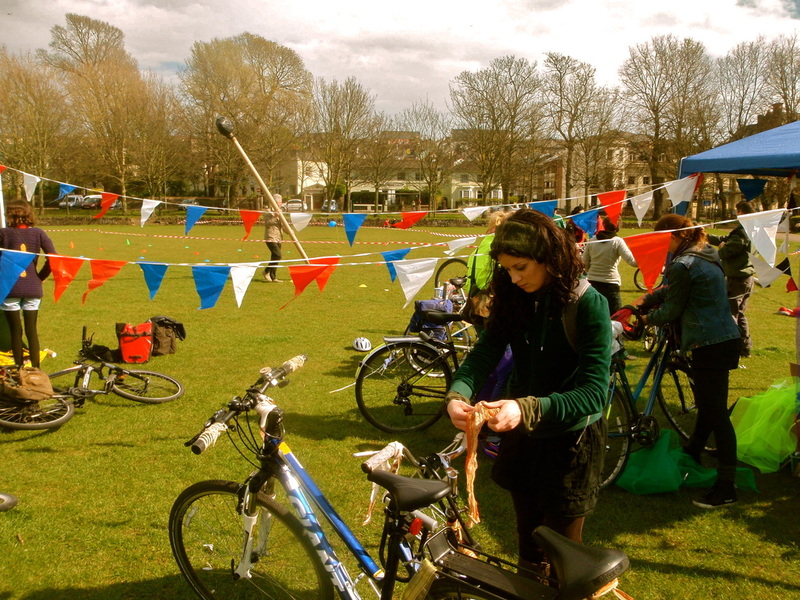 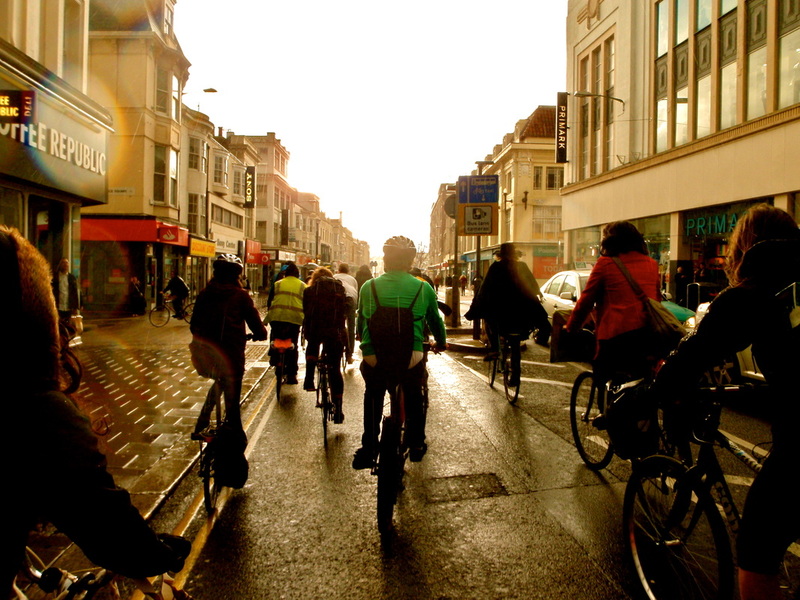 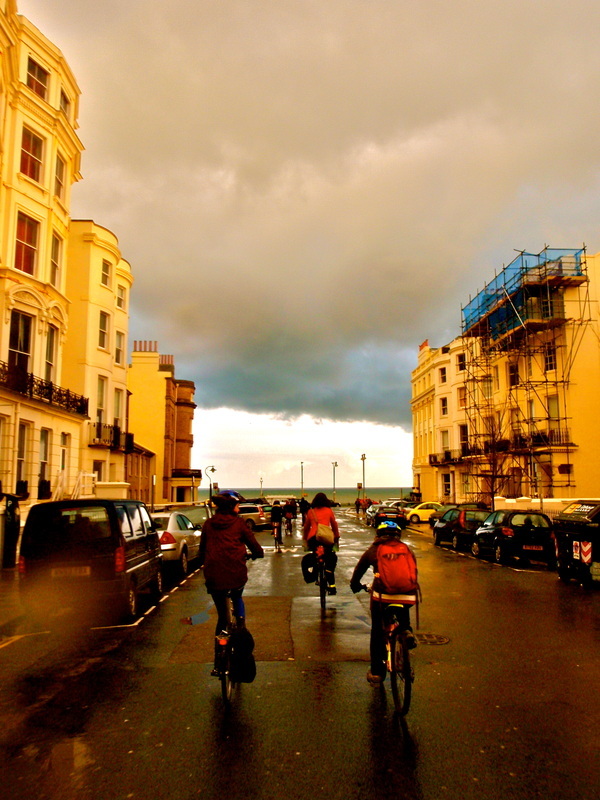 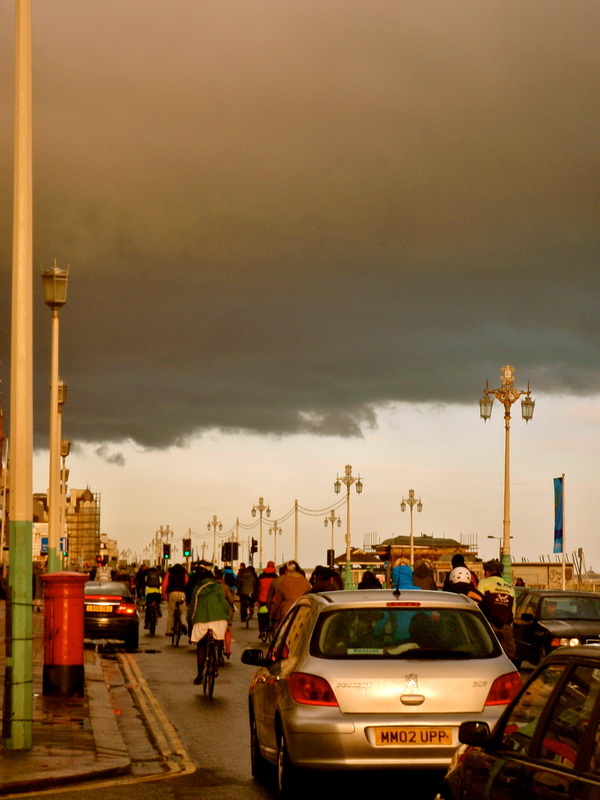 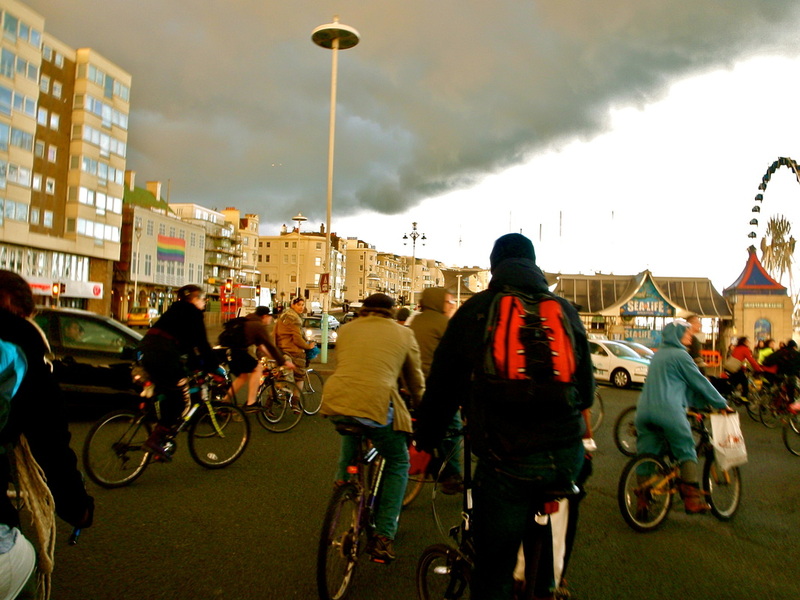 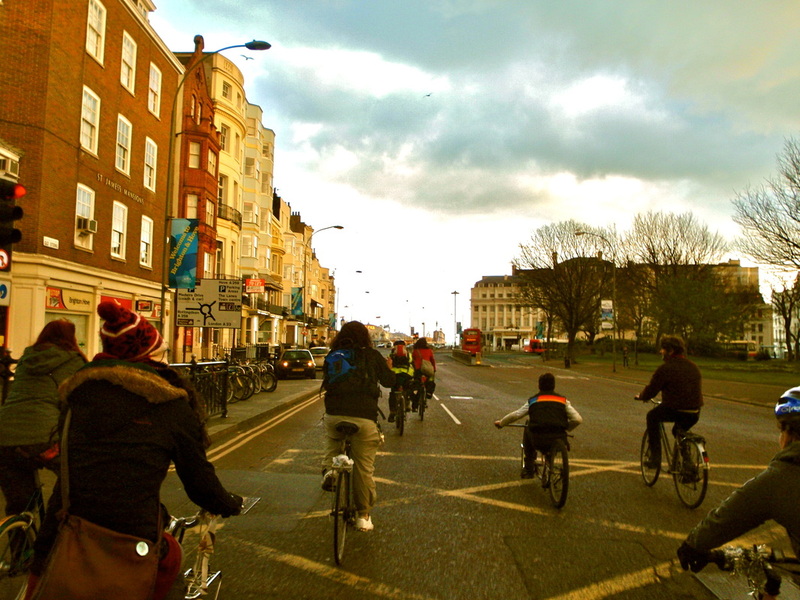 The festival celebrates cycling as a safe, clean, healthy and cheap alternative to the car, bringing together various Brighton cycle groups in a self-organised celebration of the bicycle. It is also about discovering and sharing the liberating, fun and playful side of the bicycle, and its ability to bring people together on and off the road! 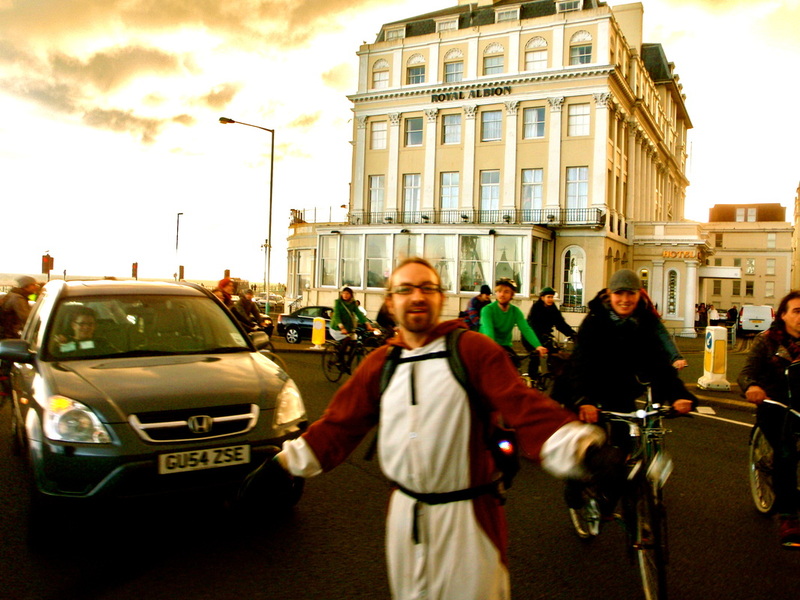 Every Friday at the end of the month a fab mass cycling event occurs called Critcal Mass! 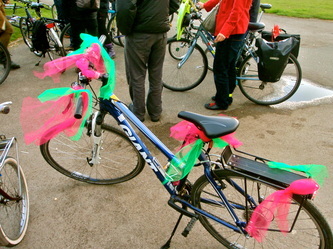 Before we set off decorations where available to jazz up your bike for a small donation. I was aiming to dress my bike in bright Brazilian colors...however my friend Nicole said it looked more like a bike on a hen do! 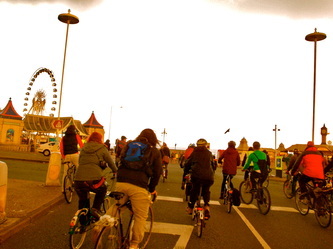 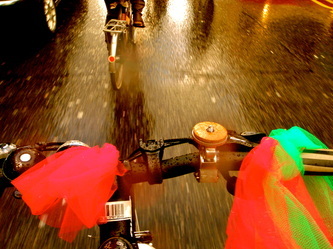 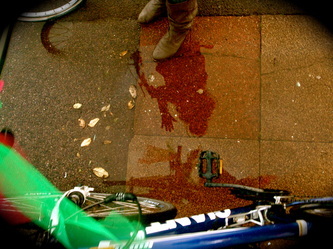 Cycling in the rain with around 50 other cyclists was probably the best way to see the funky city, I would definitely recommend this ride to everyone!